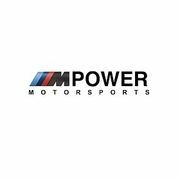 Rate and review M Power Motorsports in Warren, MI, United States! Share your experiences at M Power Motorsports with your friends or discover more Auto in Warren, MI, United States. ★★★★★ Mobile Windshield Pro offers auto glass repair and replacement for all types of domestic and foreign makes and models in Warren, MI, and we always provide FREE mobile service!! ★★★★★ Tom&amp;#39;s Glass Master&amp;#39;s offers auto glass repair and windshield replacement for all types of domestic and foreign makes and models in Warren, MI we always provide FREE mobile service!! ★★★★★ Dashing Auto Glass offers auto glass repair and windshield replacement for all types of domestic and foreign makes and models in Warren, MI we always provide FREE mobile service!! ★★★★★ We offer auto glass repair and replacement for all types of domestic and foreign makes and models in Warren, MI. ★★★★★ Windshield Fitter in Warren, MI works on all makes and model vehicles.